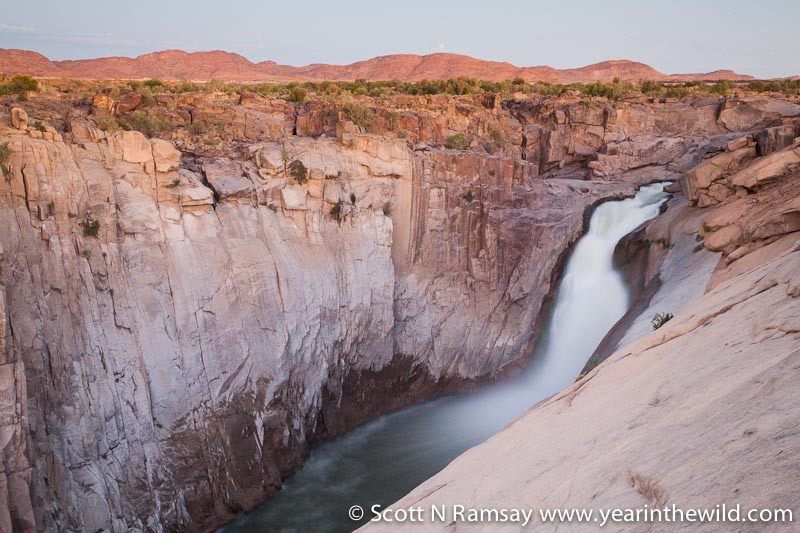 Augrabies Falls National Park is one of South Africa’s unique landscapes. 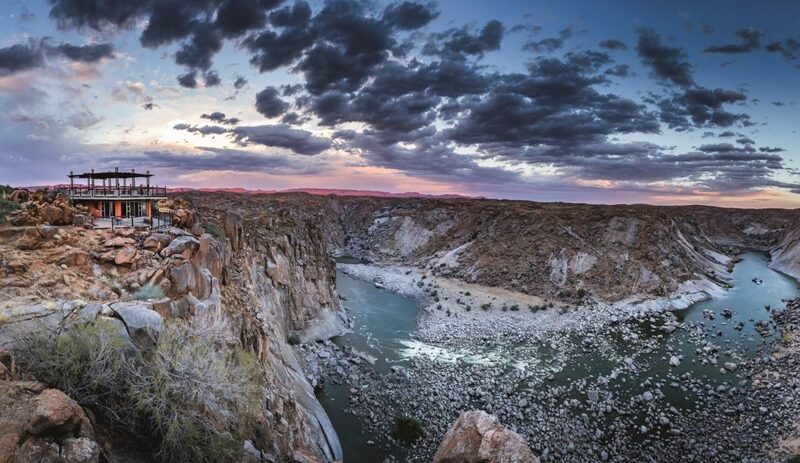 If you stand on one of the five viewing decks perched on the precipice of the gorge, there is no doubt that you’re at Augrabies. Nothing else looks like it. The falls themselves are about 60m high, so they’re not going to break any world records for highest falls. But the narrow granite gorge below the falls is mindblowing, extending for several kilometres at a depth of a 100m or more. And when the river floods, the volume of water plunging into the 150m pool below increases from about 30m³ per second to around 2,000m³ per second. In 1988, the floods peaked at 8,000 cubic metres per second – which is 8,000 tons of water flowing over the falls every second. 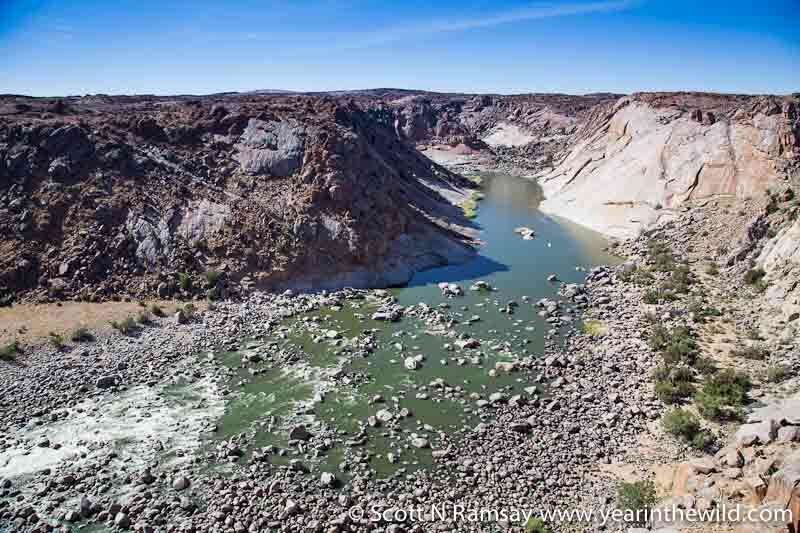 No wonder they call this place Augrabies, after the Khoi word “Aukoerebis”, or “place of noise”, because such heavy water sounds like thunder when it hits the gorge below. 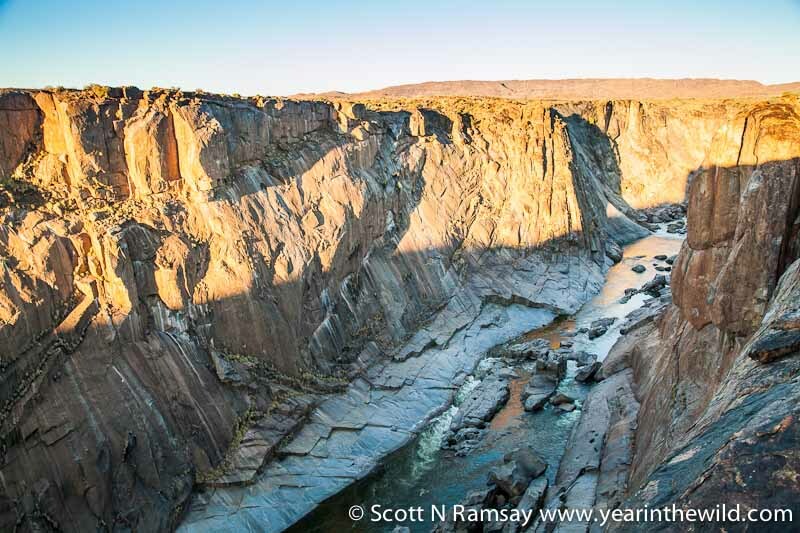 When the river is low, the main falls at Augrabies are, for me, not the most spectacular part of the park. But when the river floods, then of course they become the main attraction. 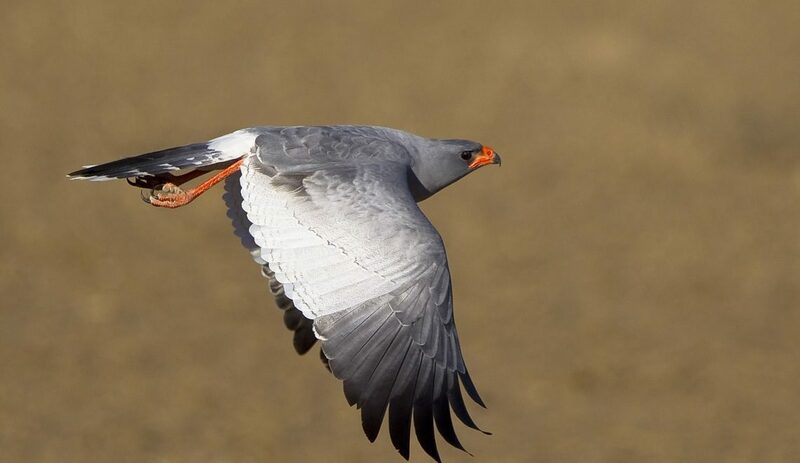 The water rises several metres, and spreads out along the cliff tops, making it a truly intimidating sight. This view is from Arrow Point, looking back up the gorge. It’s hard to believe that such a precipitous landscape can be carved into the rock by something as malleable as water. Just goes to show, I guess, how persistence pays off! 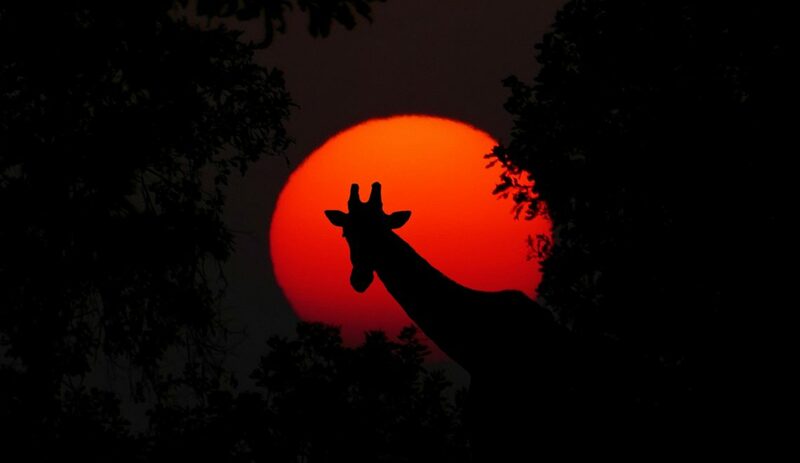 To me, this is one of the best views in Southern Africa. Arrow Point is at the confluence of the two gorges downstream of the main falls and is a short walk from the main rest camp. Twin Falls is on the short walk towards Arrow Point, and is also a unique view in Southern Africa. I wish I’d been here during flood season, because the sound of raging water must have THUNDERED through these gorges. This view is a few kilometres from the main falls, and is one of my favourites. 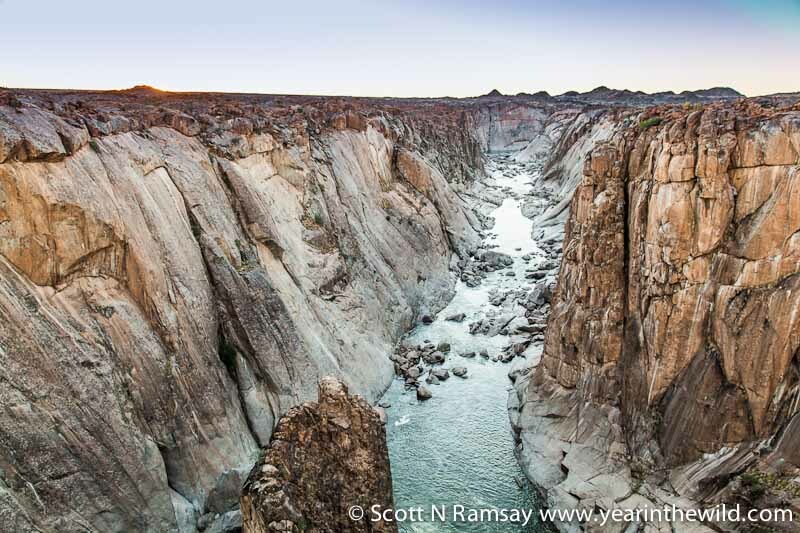 Here you can appreciate the river’s relentless erosion on the granite rock, some of which is over a billion years old. It’s also impressive to see so much water flowing through one of the driest parts of the country. 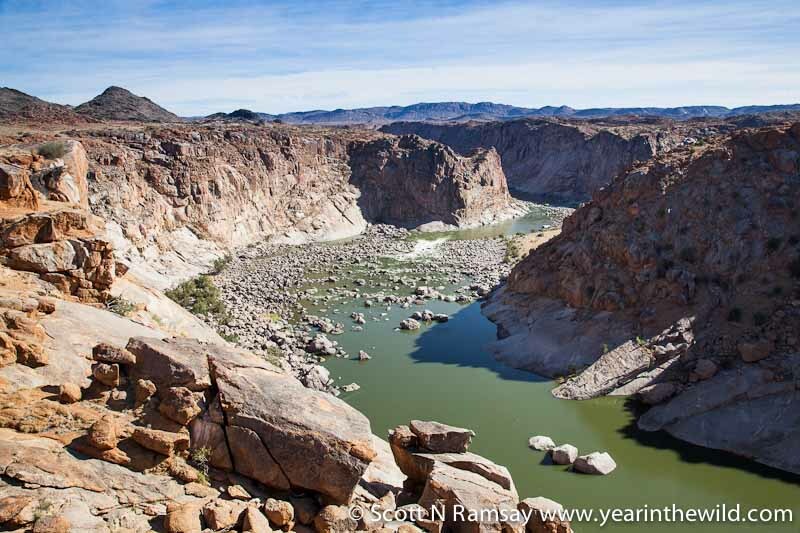 Annual average rainfall here is just 125mm, and in many ways the Orange River is the saviour of the region, which would otherwise be uninhabitable. Near to Ararat viewpoint is this view, where you look up the gorge. Those boulders at the bottom of the gorge in the middle of the river are about the size of a bus! 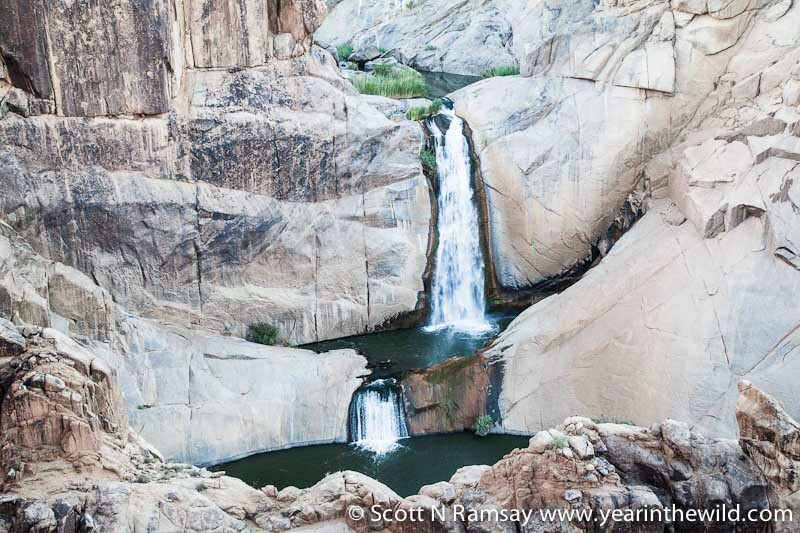 Scott Ramsay captured the variety of falls and views on his Year in the Wild.